Monster Hunter World: Iceborne is the first major expansion to Capcom’s most successful Monster Hunter game yet, and promises to bring new monsters, gear, and a massive new world for players to explore. Capcom has managed to keep the hunt fresh with post-launch support in the form of regular content drops and seasonal events. New monsters such as Lunastra, Kulve Taroth, and Deviljho have given hunters new marks and gear to aim for, while characters from other games have made cameos in the form of unique armor sets. It was also recently announced that The Witcher’s Geralt is coming to Monster Hunter: World in early 2019. Capcom’s post-launch support of Monster Hunter: World has been top shelf so far, but most of the new content has been minor, temporary, or both. Until now, that is. Capcom recently announced Monster Hunter World: Iceborne, a massive expansion that will introduce hunters to a new arctic ecosystem packed with fresh monsters to master, weapons and armour to craft, and a continuation of the story. With the Iceborne release date still a off in the distance, explicit details are currently few and far between. But the announcement came with plenty of enticing tidbits for fans to pick apart. Here’s what we know so far. The Monster Hunter World Iceborne release date is fall 2019 on consoles, with PC players getting it at later date, which is far from ideal. That’s almost a year out (and likely longer if you play primarily on PC), which makes the timing of the announcement a bit surprising. Announcing a DLC this far in advance is fairly uncommon. Getting more Monster Hunter: World is never a bad thing, but waiting that long is going to be tough. As the time of writing, no price for the Iceborne expansion has been given. Since then, Monster Hunter producer Ryozo Tsujimoto has appeared in a video on Playstation’s YouTube channel to offer a few more details on what we can expect. He says that in addition to a bunch of new content, Capcom has taken fan feedback to heart and promises some quality of life improvements to boot. The content promised at the end of the trailer is ripe for speculation. The concept of a new quest rank is pretty straightforward; we can probably expect something beyond “high rank” quests that offer up tougher objectives and hunts. New locales also shouldn’t be surprising considering that we saw rathalos arrive in a totally new and very cold location. Where the fun speculation really starts, though, is with the the trailer’s mention of new moves and equipment. New armor sets are always an exciting way to customize your character and show off your trophies from various hunts, but the mention of new moves also suggests that we’ll be getting new weapon types. Of course, the “new moves” in question may simply apply to existing weapons. The Monster Hunter: World design team has shown off their ability to create terrifying and memorable monsters time and time again. Getting new beasts to hunt is always a thrill, both in terms of their design and learning overcoming their strengths and attack patterns. Considering the icy setting of this expansion, it’s likely we’ll see more ice elemental monsters, which are currently rare in Monster Hunter: World. Of the original Monster Hunter: World monsters, Legiana is the only one that is of the ice element. Tsujimoto says that his team approaches monster design from a gameplay perspective first. It’s important to know how the monster will behave and what attacks it will use and build the design around that. The biggest challenge will be to achieve a back-and-forth between hunters and the monsters, and to give monsters attack patterns that haven’t been seen in the series before. In the Playstation video, Tsujimoto comments that, while we can expect a handful of new monsters in Iceborne, some old series favorites will be returning as well. 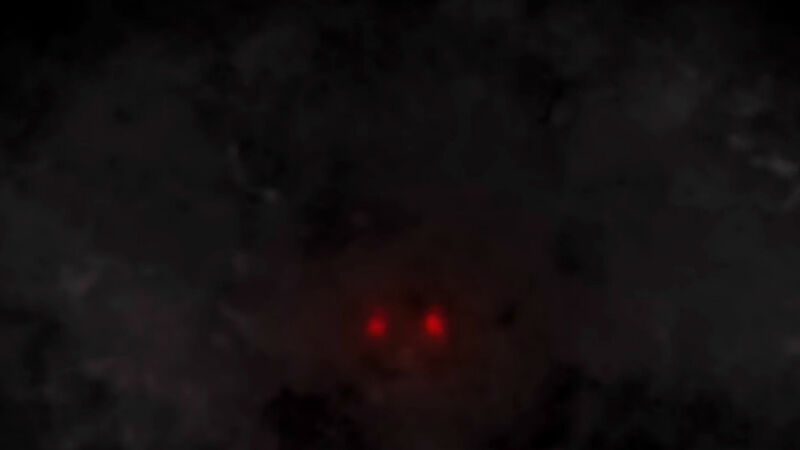 The end of the teaser shows off a pair of glowing red eyes that many fans believe to belong to Nargacuga, first introduced in Monster Hunter Freedom Unite. Other monsters on fans’ shortlist include Tigrex, Zinogre, and Barioth, so hopefully these will crop up in Iceborne as well. 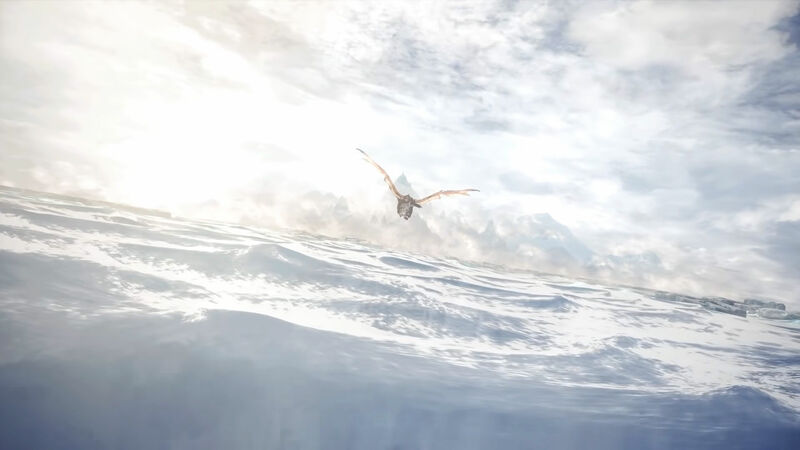 Of course, one of the most highly anticipated aspects of Iceborne is the collection of new locations we will be able to explore and hunt in. A staple of the Monster Hunter series is the ecosystem and geography that differs between each area. Learning the shortcuts and landscape of an entirely new locale will likely breathe some fresh air into Monster Hunter: World. So far, Capcom hasn’t introduced any new story content to Monster Hunter: World, but that will change with Iceborne, with new story missions that will take place after the story of the base game. Hopefully (depending on your tastes) that means no more Zorah Magdaros battles. It will be interesting to see what the Fifth Fleet makes of the frozen landscape of Iceborne and what challenges this new terrains will throw at them. Either way, we’ll have to wait a while to find out. Iceborne is still a long ways out, but fans of Monster Hunter: World have a lot to look forward to. With the game celebrating its one year anniversary next month, and the return of Kulve Taroth on the horizon, the wait for Iceborne is sure to be filled with exciting hunts. Capcom say they will reveal more in Spring 2019, so expect plenty of news in the coming months.